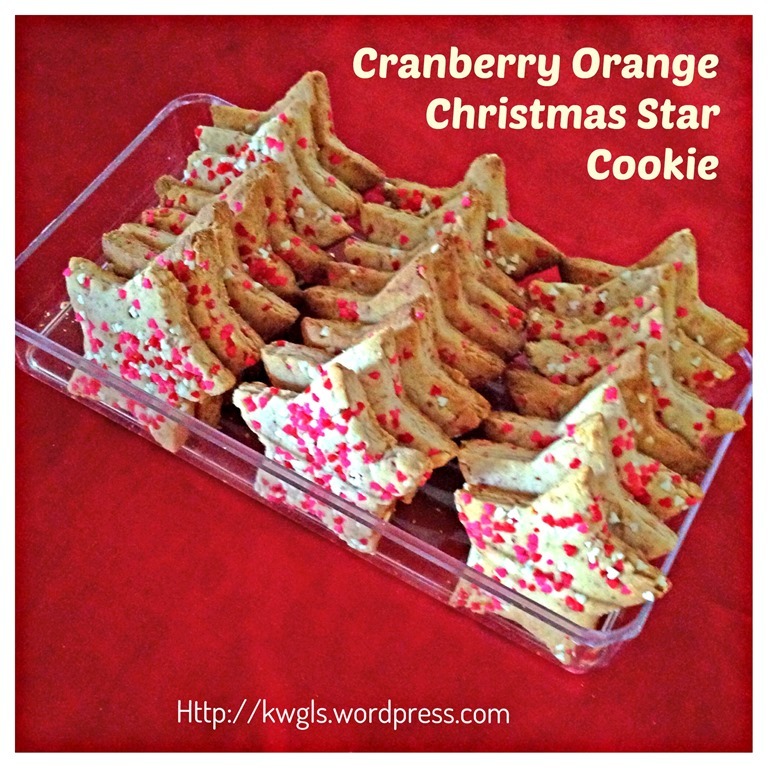 After Thanksgiving, most bloggers in Western Countries are blogging about cookies. Yes, cookies for Christmas. I have seen this recipe in early November from a blogger friend of mine, Jamie Sherman who is a successful blogger in Love Bakes Good Cakes. 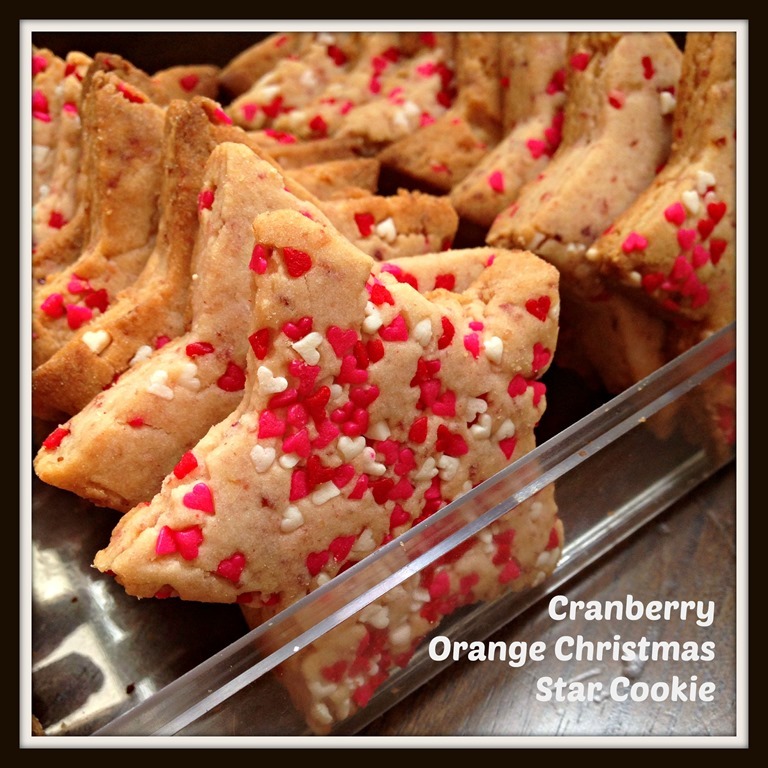 She is sharing her Cranberry Orange Christmas Sandies and I should say, it looks extremely appealing to me with the red and green sandies. I promised her that I will try to bake the cookies and I took a step out to try making her cookies yesterday. It is sad that I can’t locate the type of green and red sandies in my baking supply stores and since I have some candy beads in my kitchen shelf, I have decided to use up the candy beads. 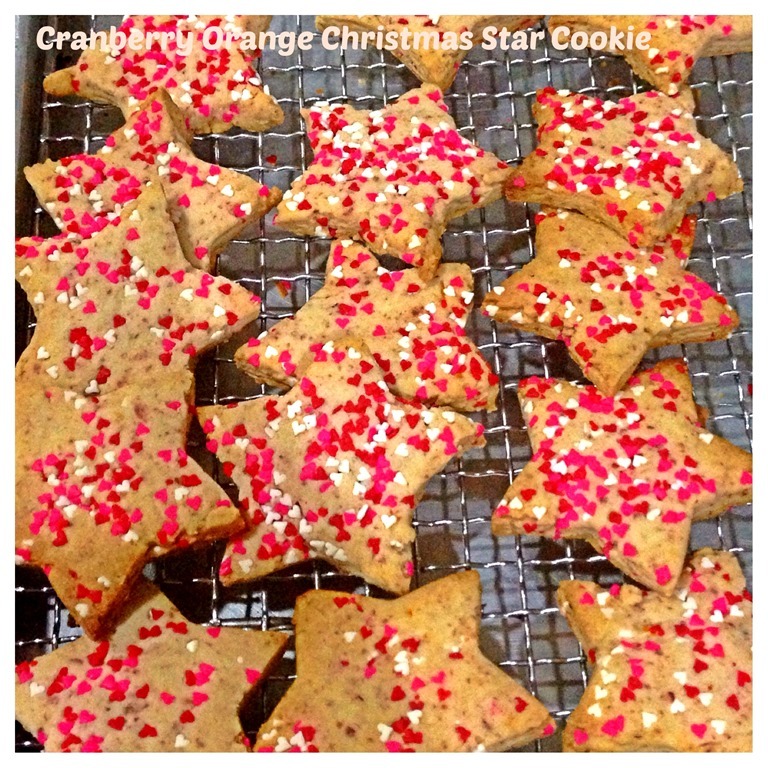 As for the shape, I have resorted to using star shape since these cookies cutters have been with me for years and I have never used them before. 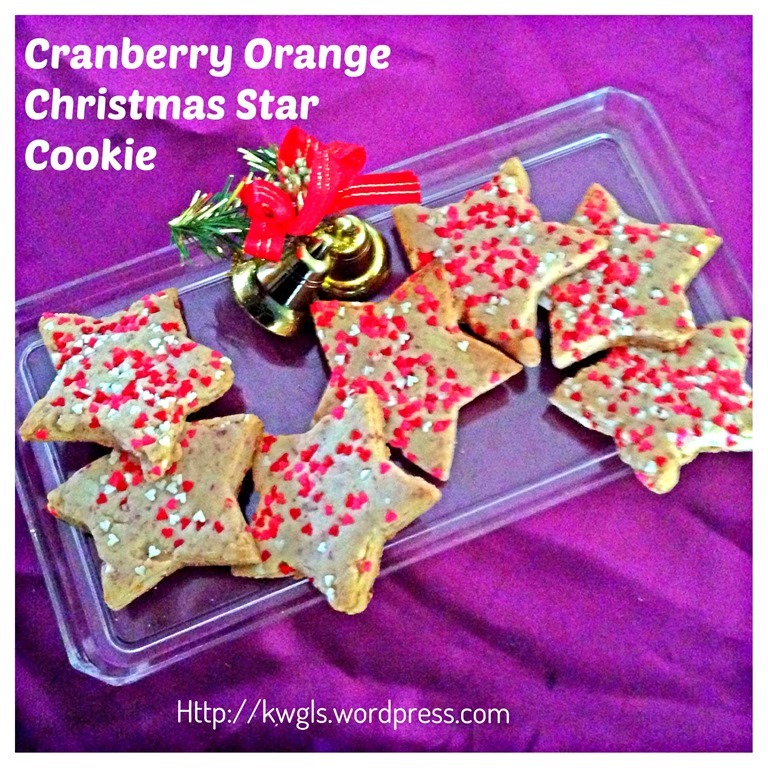 Therefore, I have created my own ugly version of Cranberry Orange Christmas Star Cookies.. Ha-ha. 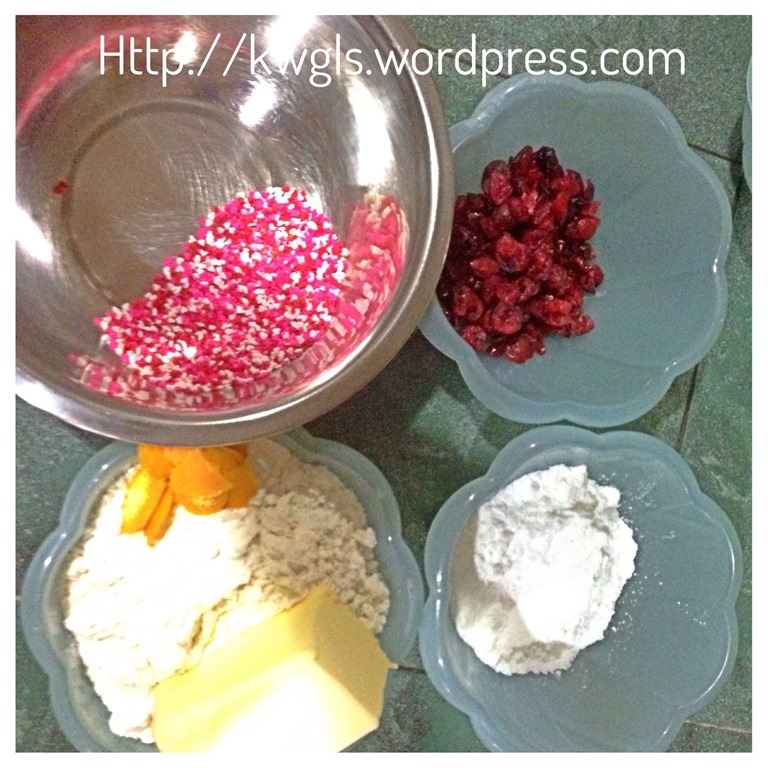 As the recipe need to chop the cranberry into small pieces, I knew I am rather impatience and I have decided to use food processor to blend the cranberry and orange peels into very small pieces. Since I have already dirtied one food processor, I am unwilling to dirty another stand mixer. I therefore used the food processor to “cream” my butter. Creaming butter and sugar with food processor is nothing new to me and in fact, I have used this food processor to prepare a beautiful banana cake. 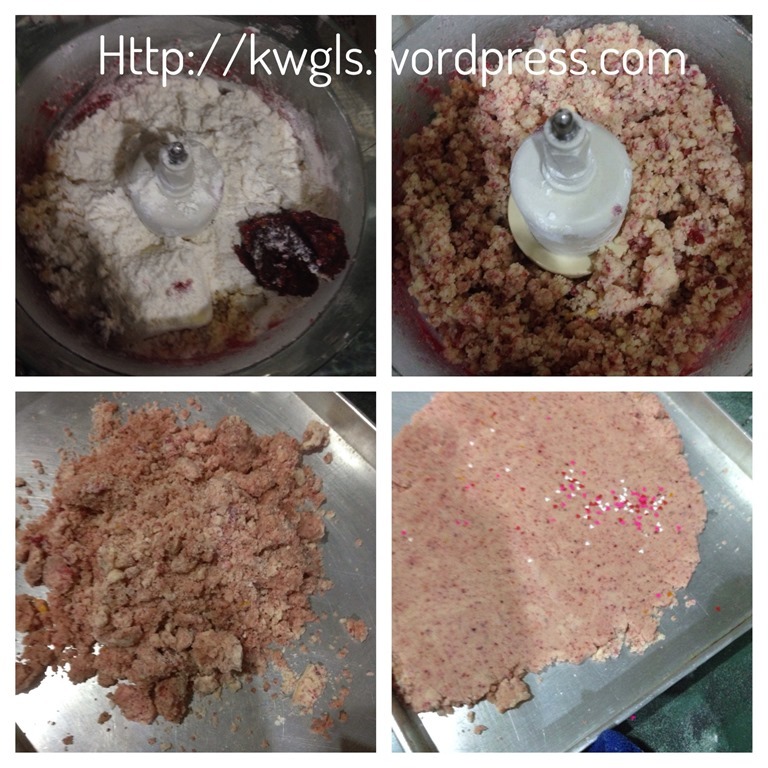 You may want know how to prepare banana cake using food processor in this Facebook post : Banana Cake (香蕉蛋糕）. 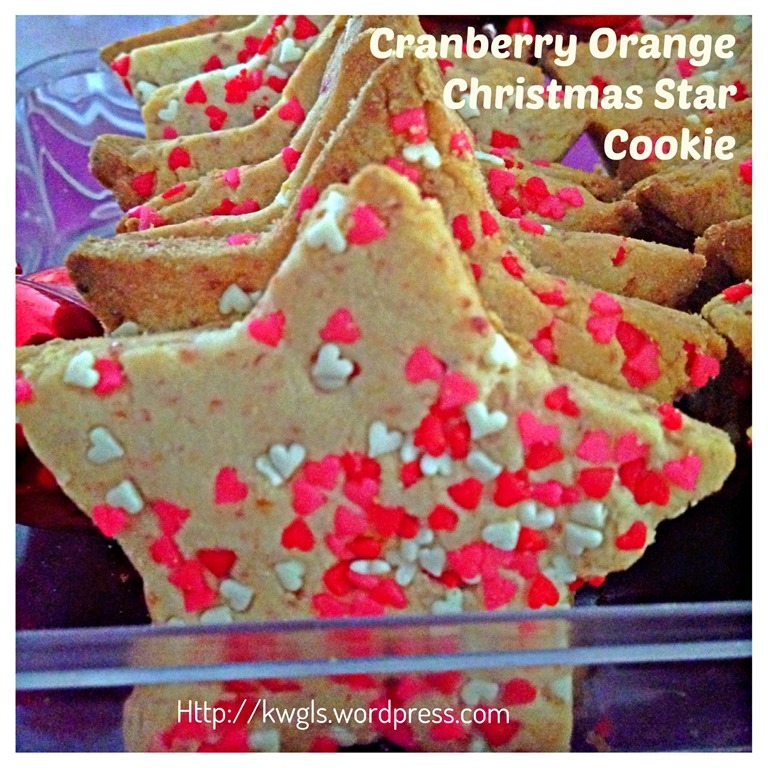 The bake is not 100% satisfactory as the edges of the star is slightly dark. I baked 2 trays in the oven and the upper tray seems to be much darker than the lower tray. Well, in my humble opinion, that is not something I should worry too much as it is still edible and rather presentable… Hope readers can concur with me. Adequate candy beads for rolling or pressing. Preheat oven to 180 degrees Celsius and line 2 baking trays with parchment paper. 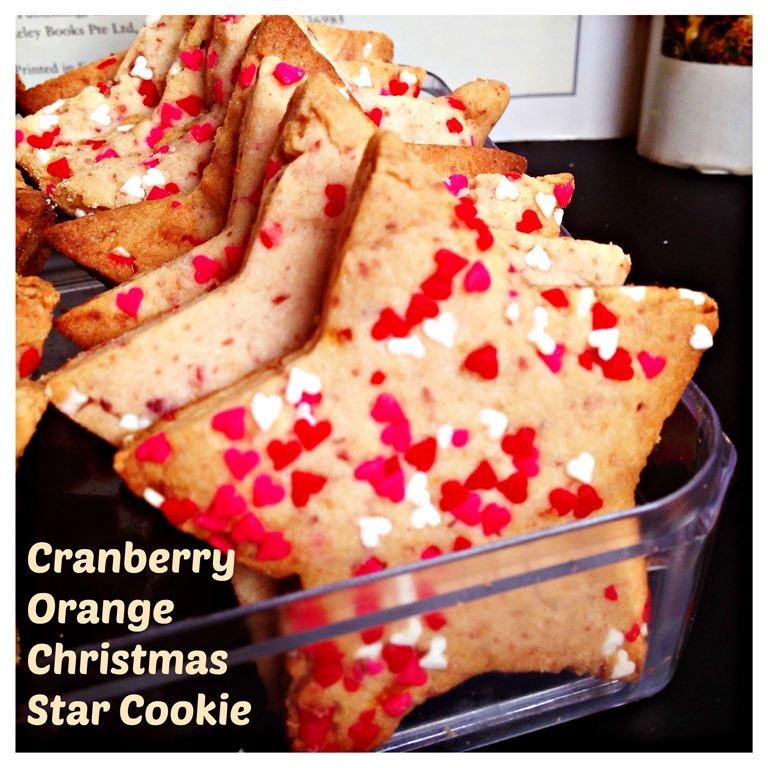 In a food processor, put cranberry and orange peel. Blend until fine and set aside. 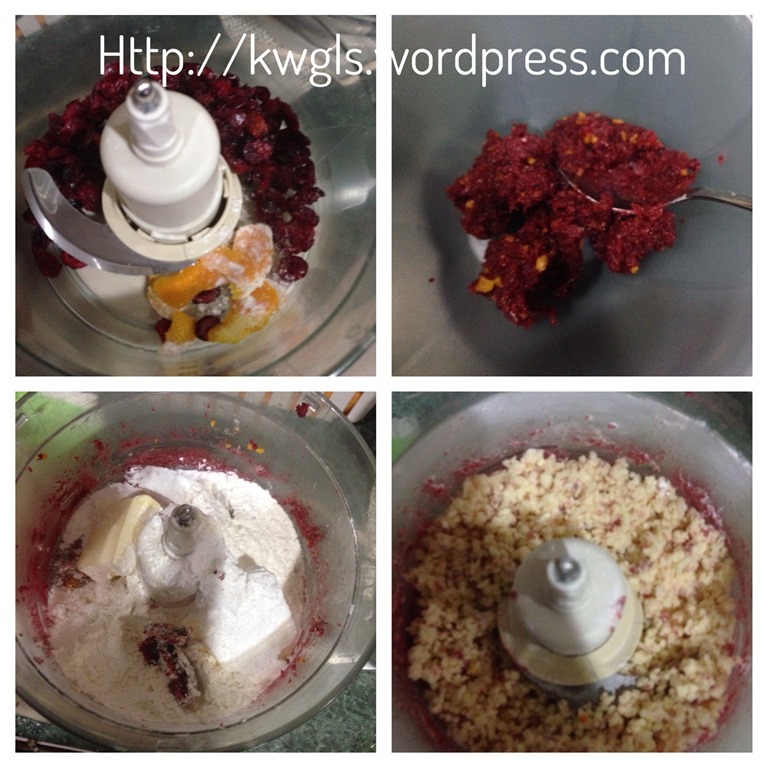 In the same food processor, add 1/4 of cranberry, flour, sugar and butter, blend until it is crumb like. You may have to gradually add for 3-4 times as too much of the ingredients may jam your blender. Continue to do the same for the remaining 3/4 of the ingredients. Once everything is added, take out the crumbs, lightly knead and use a rolling pin to flatten the surface to about 0.5 mm thick. On top of the dough, sprinkle with your desired type of candy beads. Use the rolling pin to roll it on top of the dough. 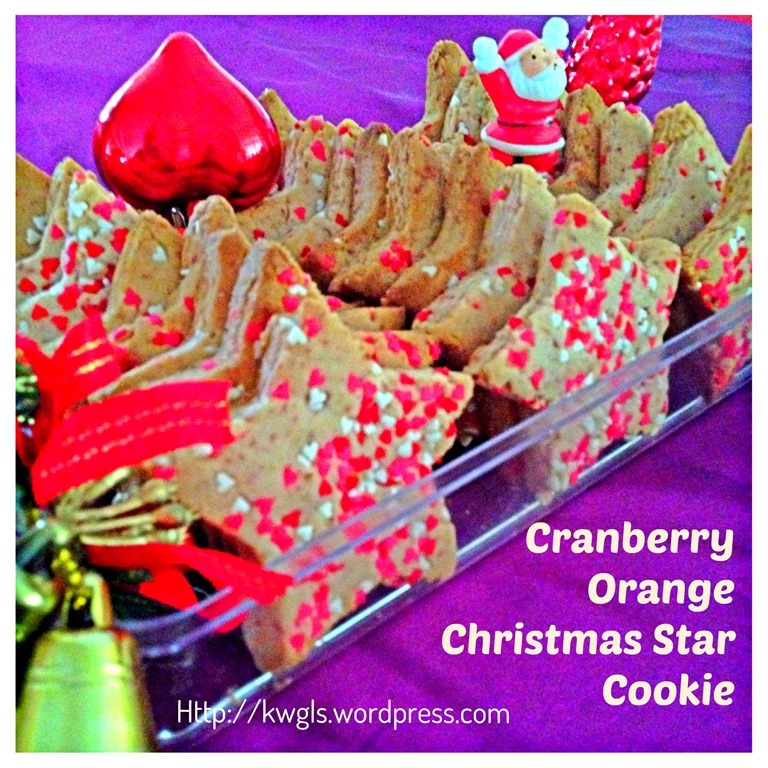 Use a cookie cutter to cut the dough into your desired cookie shape. Transfer the cookie dough to the baking tray leaving adequate sides for expansion. Bake in the oven for 12-15 minutes or until the bottom is slightly brown. Transfer to a rack for cooling before store in an air tight container. An extremely simple recipe with superb taste. The cookie, if you analyse the ingredients in detail, it is in fact a short bread cookie. 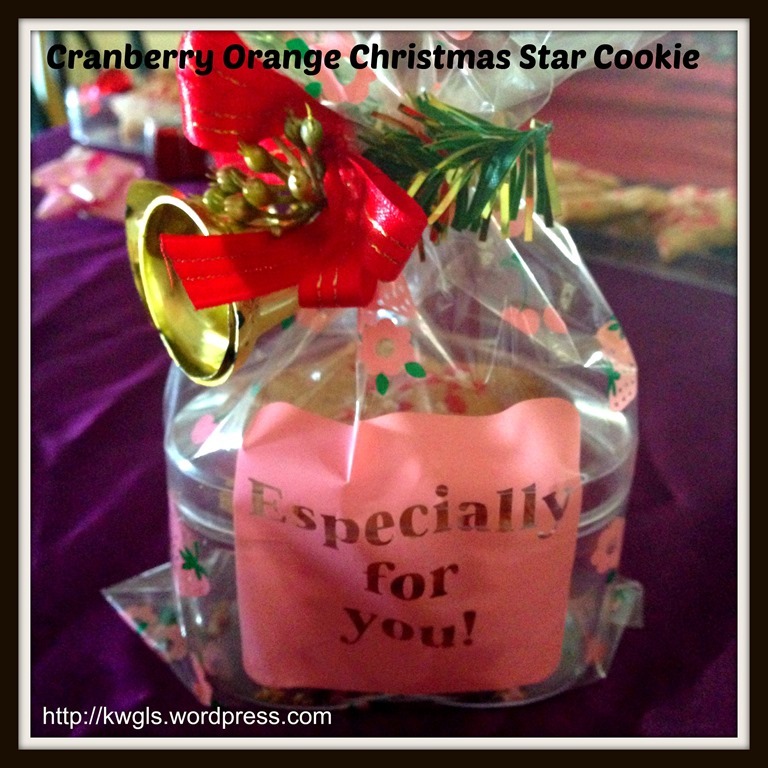 What I like about the cookie is its slightly tangy flavour from cranberry and the orange aroma from the orange peels. 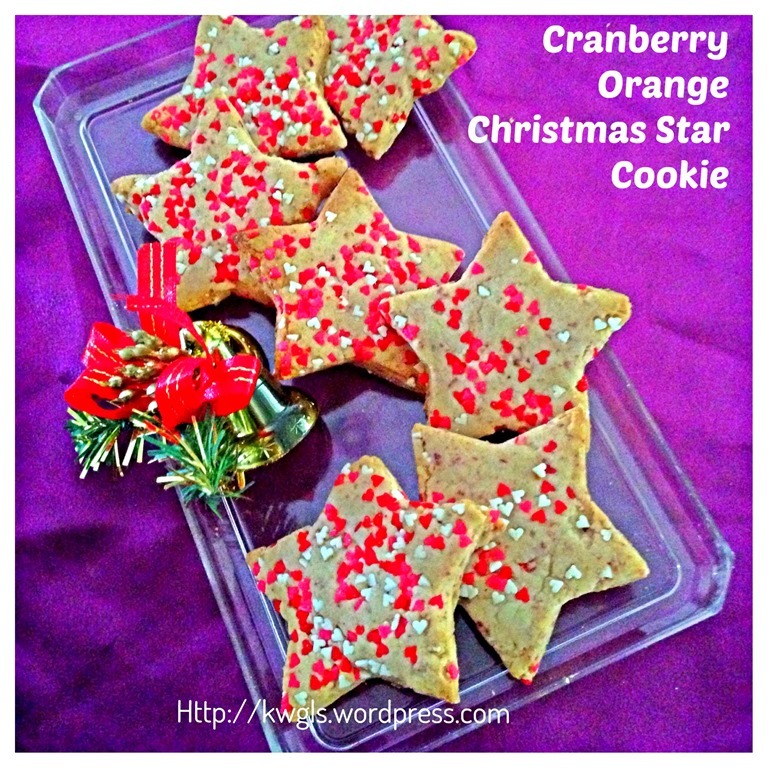 It is another variation of short bread cookies that you may want to try it out. 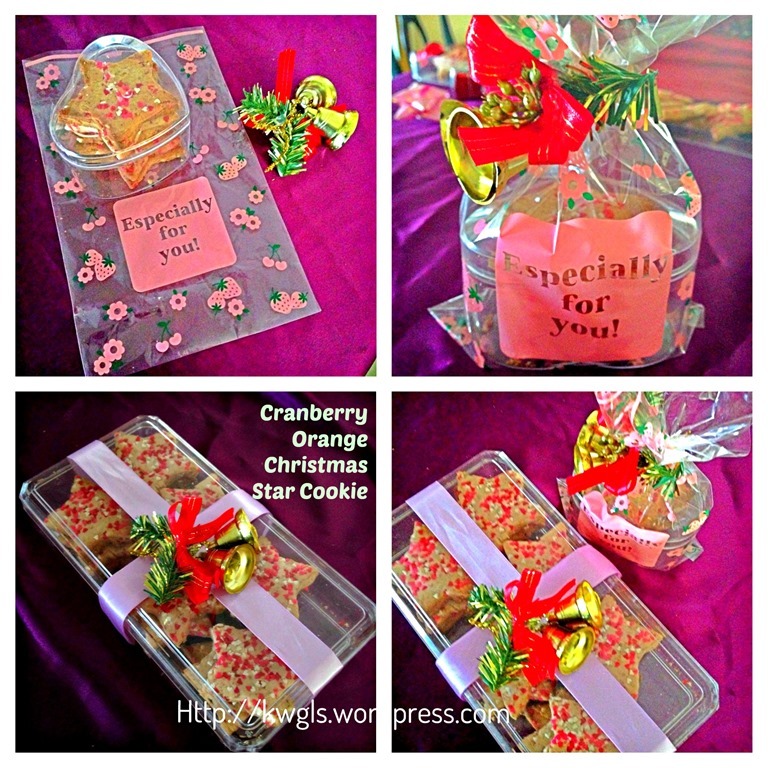 Proper packaging will make it a presentable Christmas gifts to your loved ones..
Once again, I want to thank Jamie for this recipe of hers. 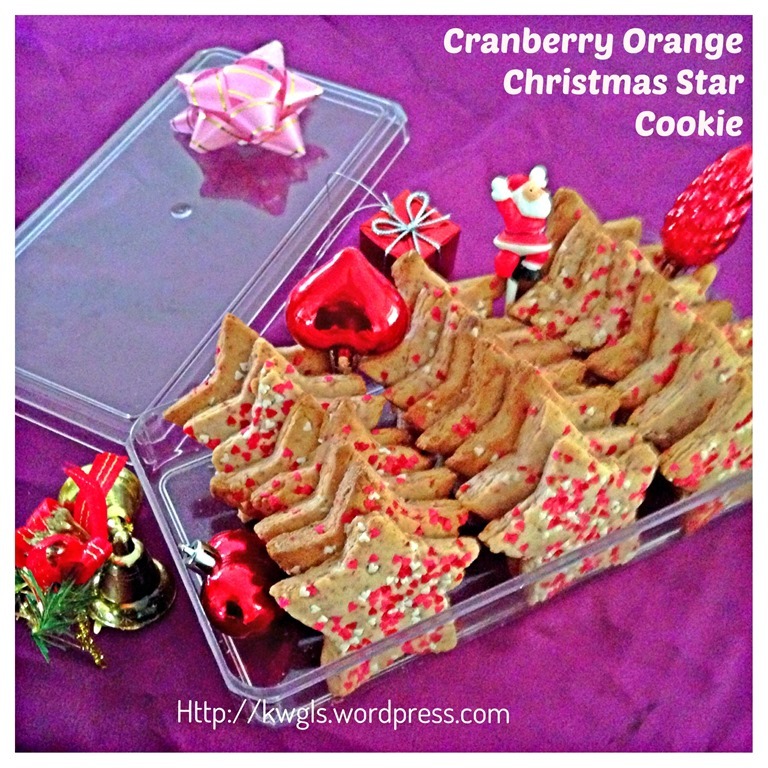 Do visit her website Love Bakes Good Cakes for more cookies choices. I am submitting this to the “Baby Sumo’s Christmas Recipes Collection 2013“ event which is hosted by Baby Sumo of Eat Your Heart Out. 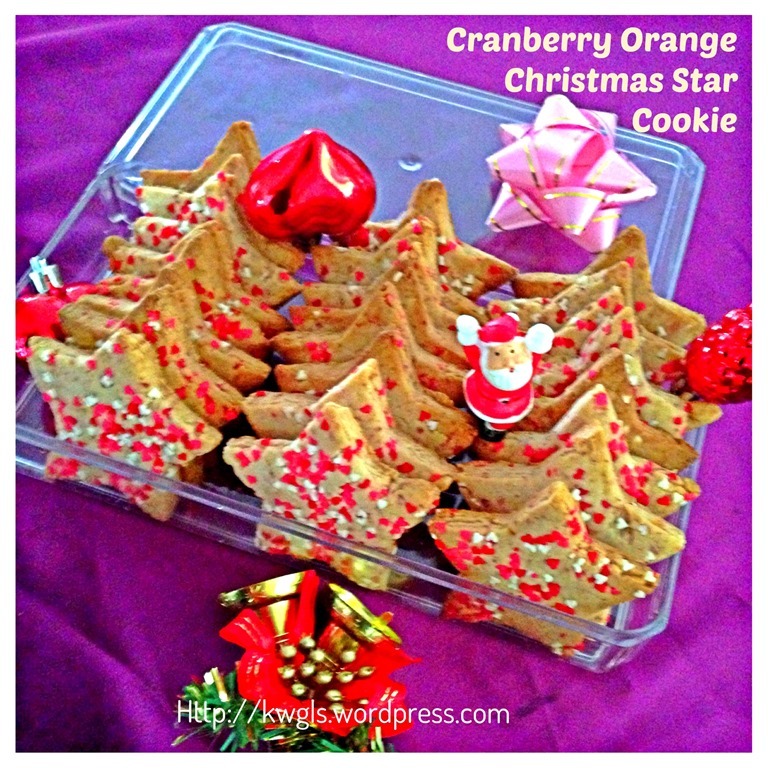 This entry was posted in Cakes and cookies, Christmas 2013, Food Preparation Series and tagged 8, Cranberry Orange Christmas Star Cookies, cranberry orange cookies, GUAI SHU SHU, Guaishushu, kenneth goh, postaday, shortbread cookies. Bookmark the permalink. Awesome, Ken! I love the stars!! They make them so festive. I’ll share this on my FB page today 🙂 Thanks for the shout-out too! ENjoy the rest of your day! 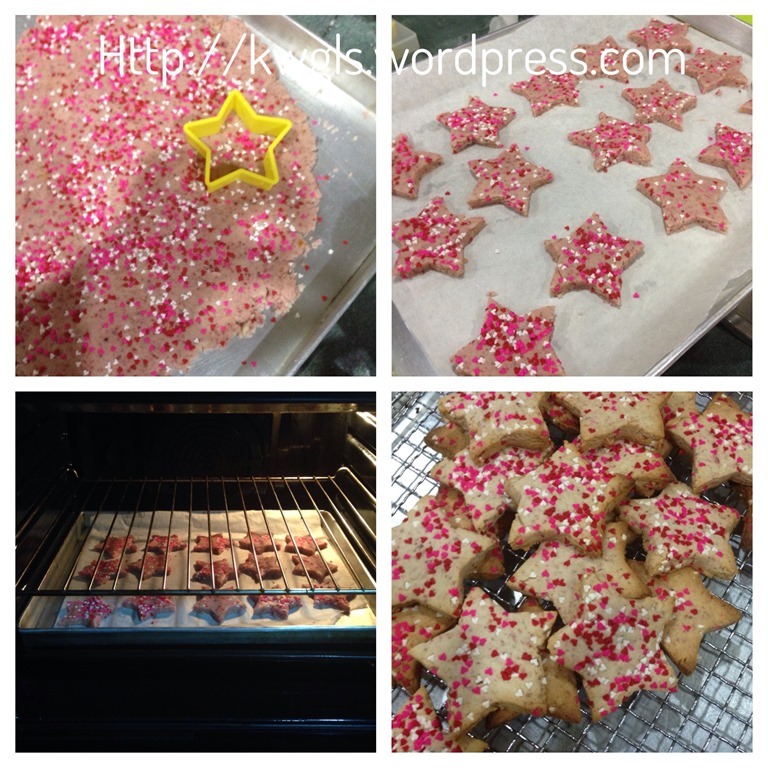 We also started baking Christmas cookies yesterday! Thanks for linking, these look very pretty lah.. where got ugly.